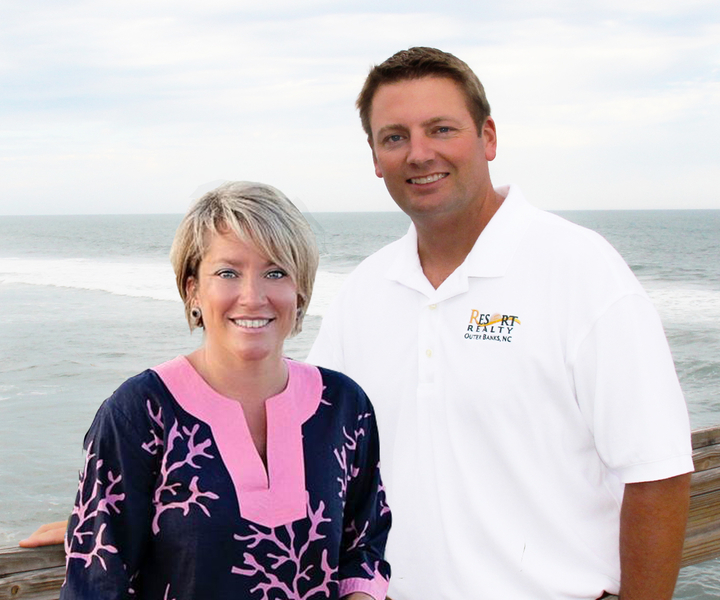 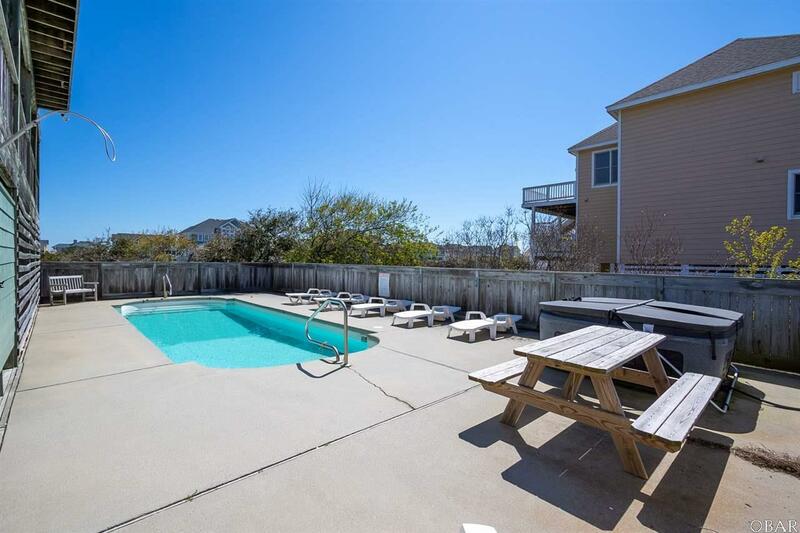 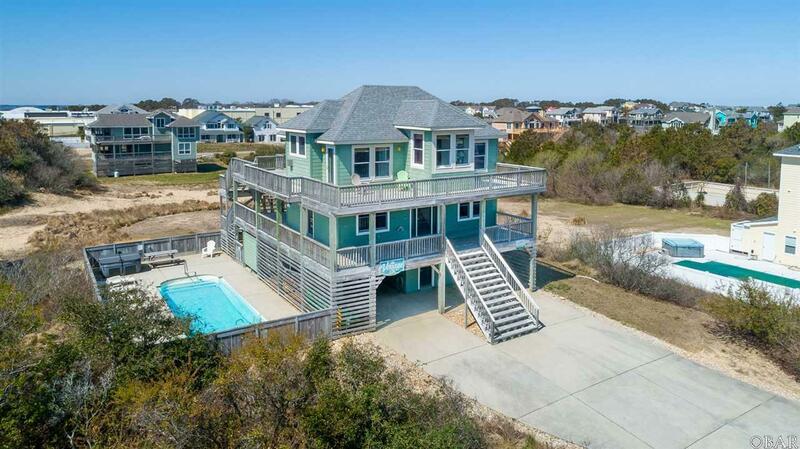 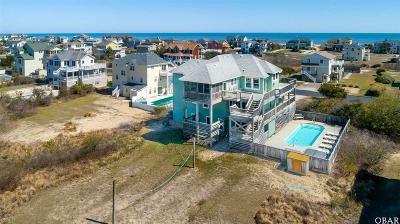 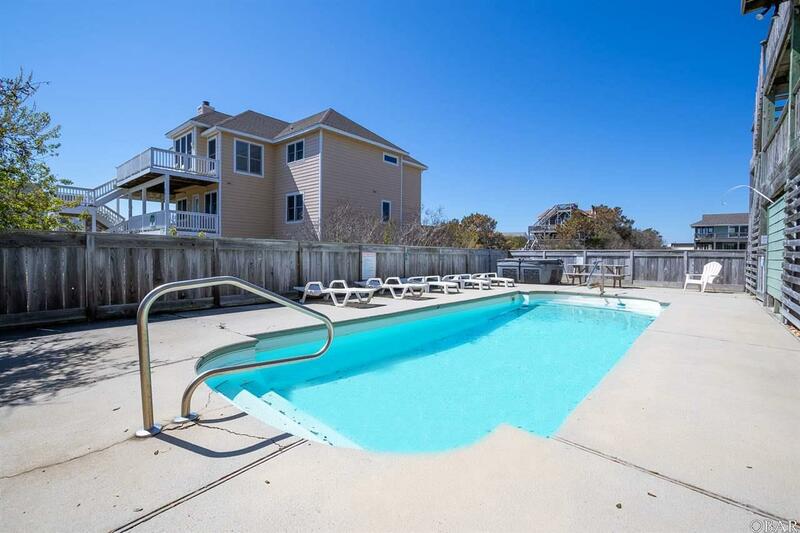 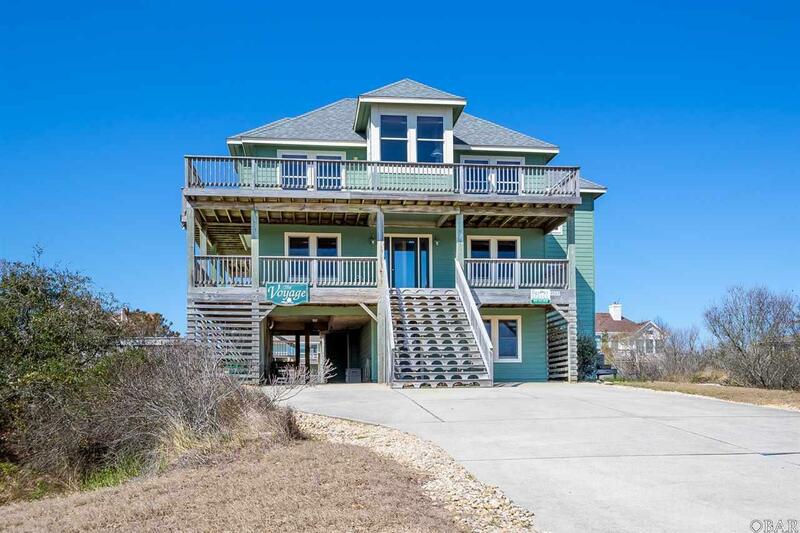 Enjoy ocean views and prime location to the beach, historical attractions, shops, and restaurants from this 7 bedroom oceanside retreat! 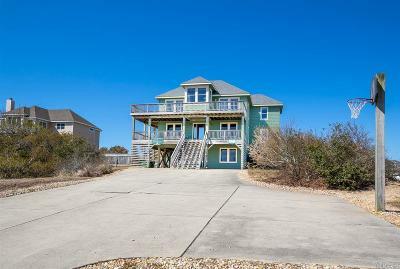 Exterior features include a 10'x28' private pool, hot tub, screened in porch, large outdoor shower, volleyball court, picnic patio seating, a basketball court, and spacious decks to provide the ultimate vacation experience for all! 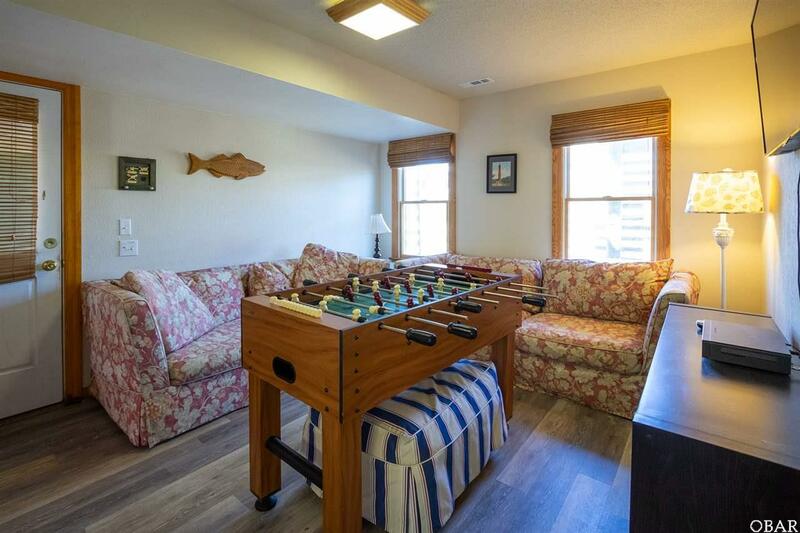 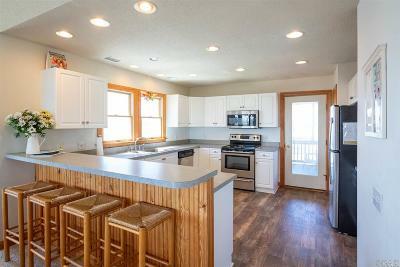 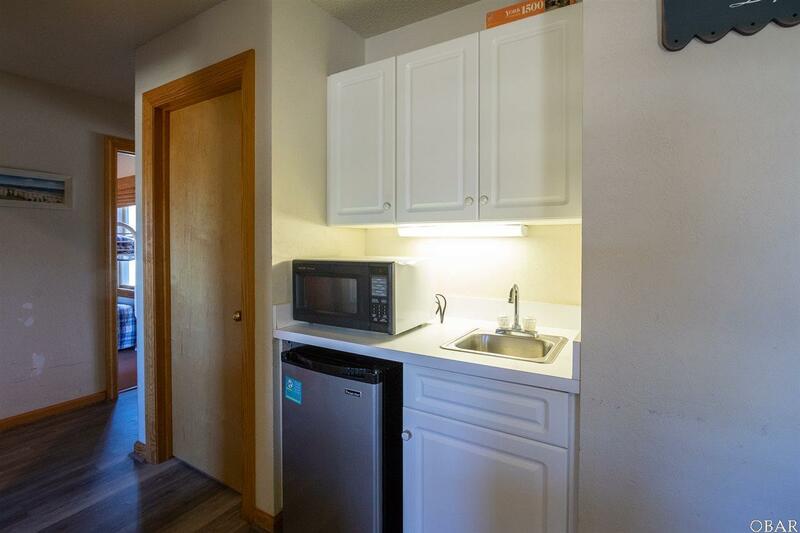 On the first floor you will find a game room with a foosball table, TV , mini-fridge, microwave, and sink. 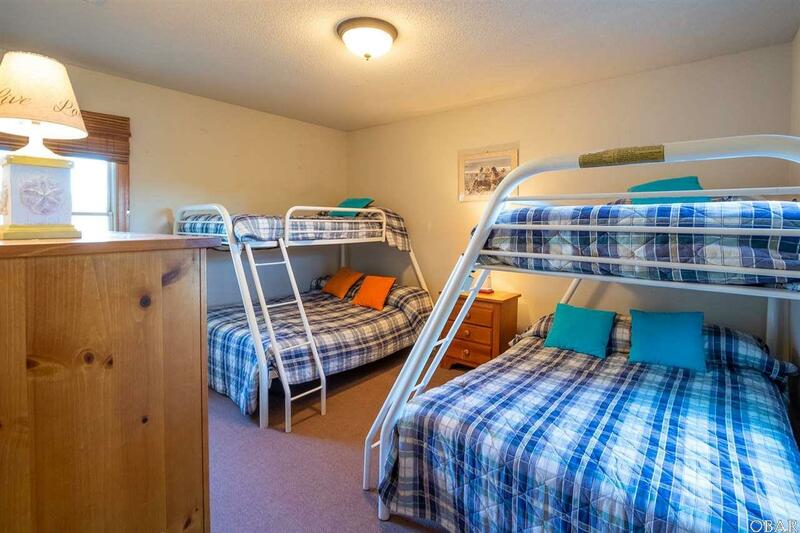 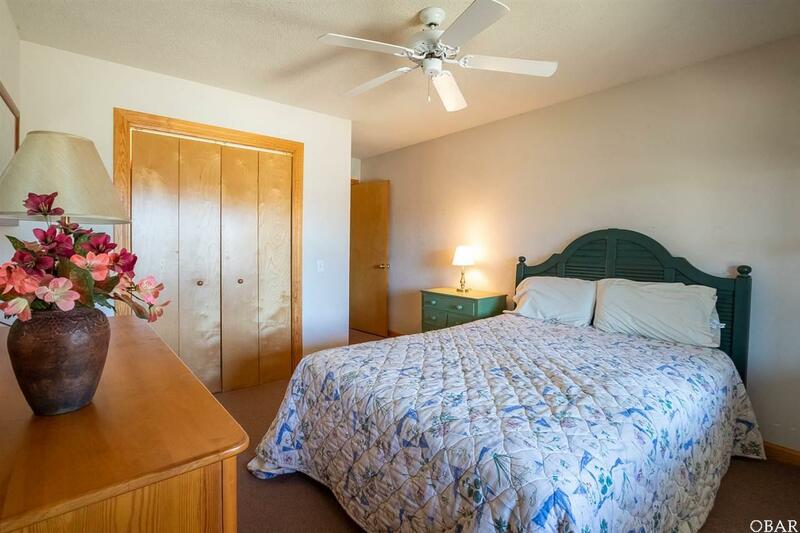 Two spacious bedrooms (Queen, 2 Duo Bunk Beds) share a full bath, as well as, common laundry in hall closet. 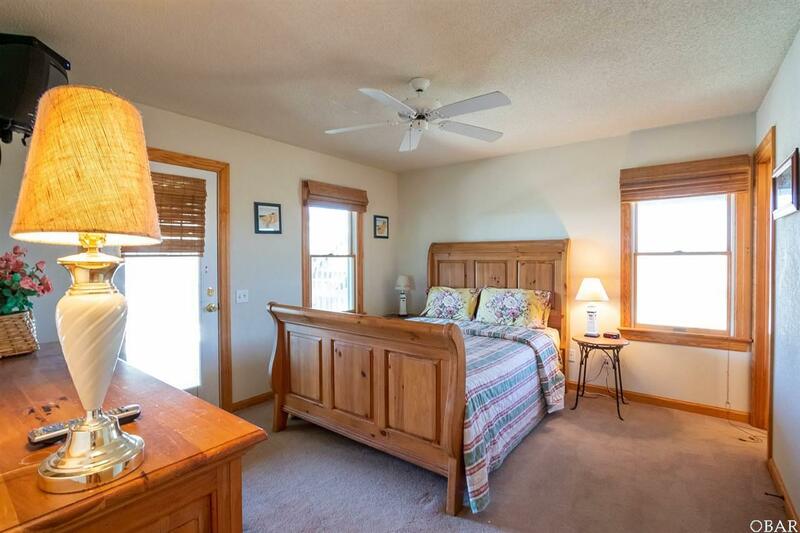 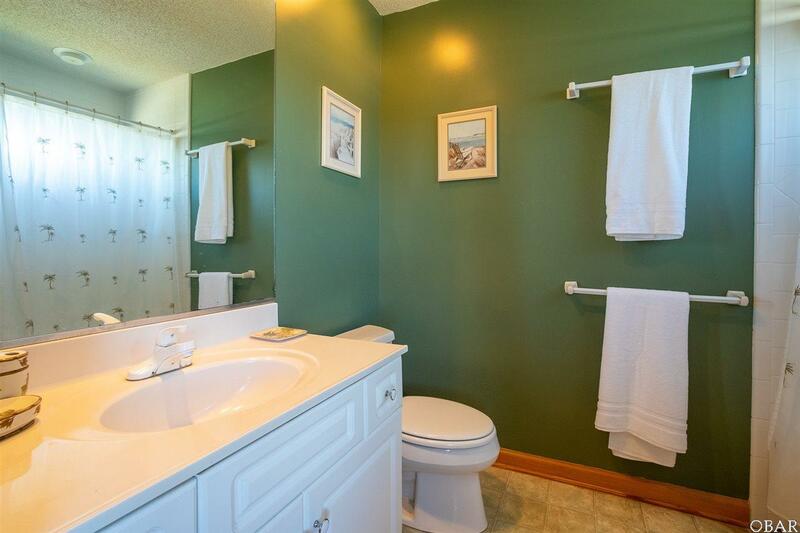 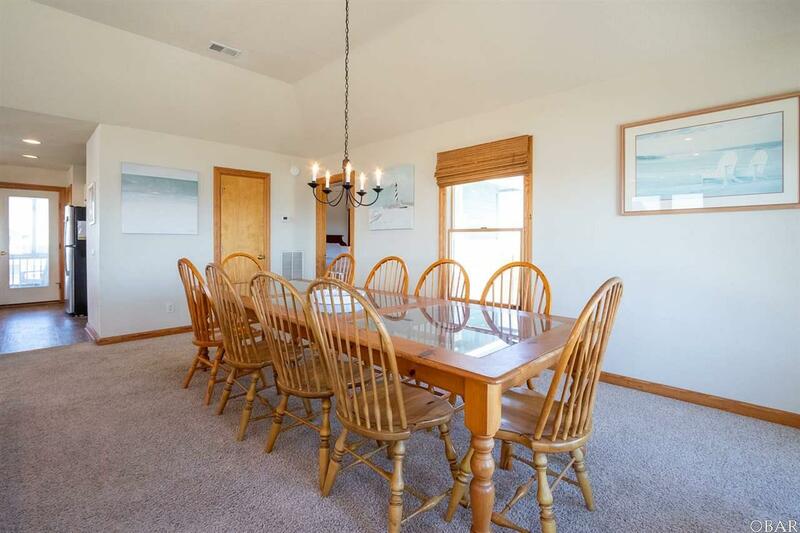 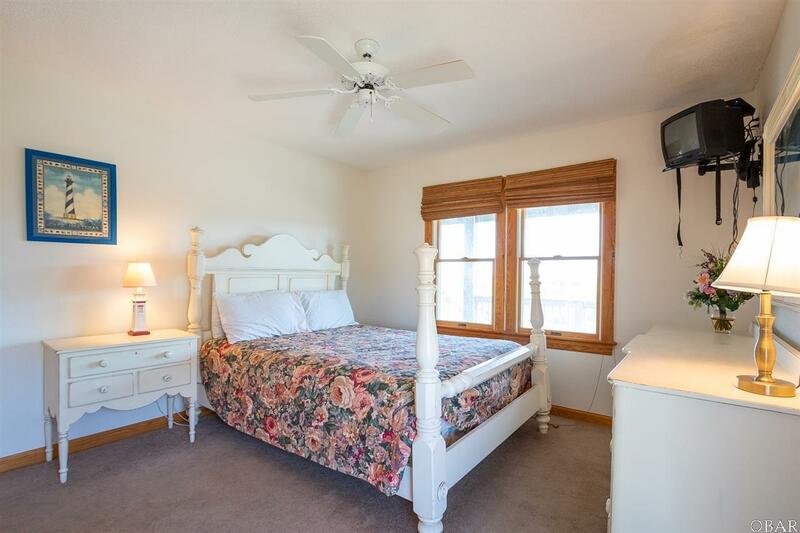 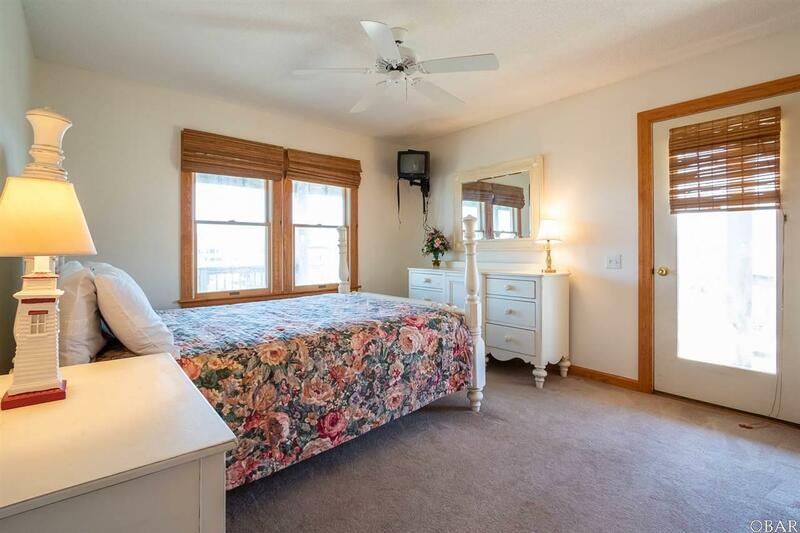 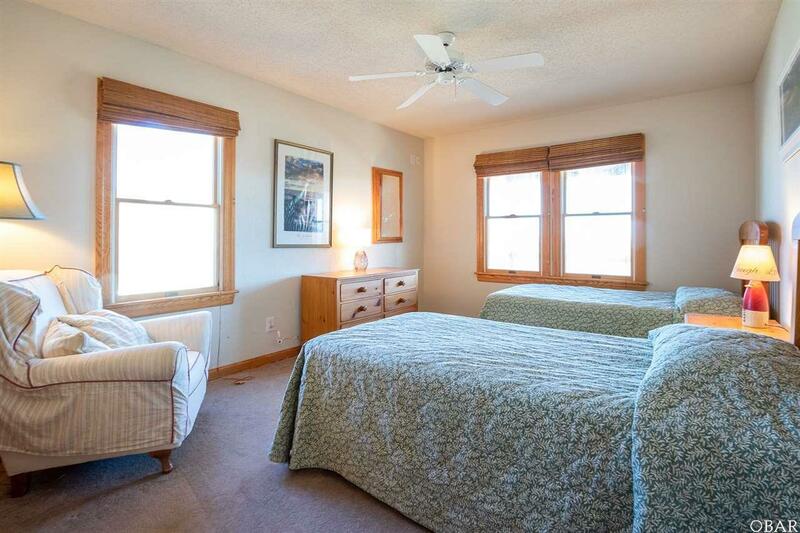 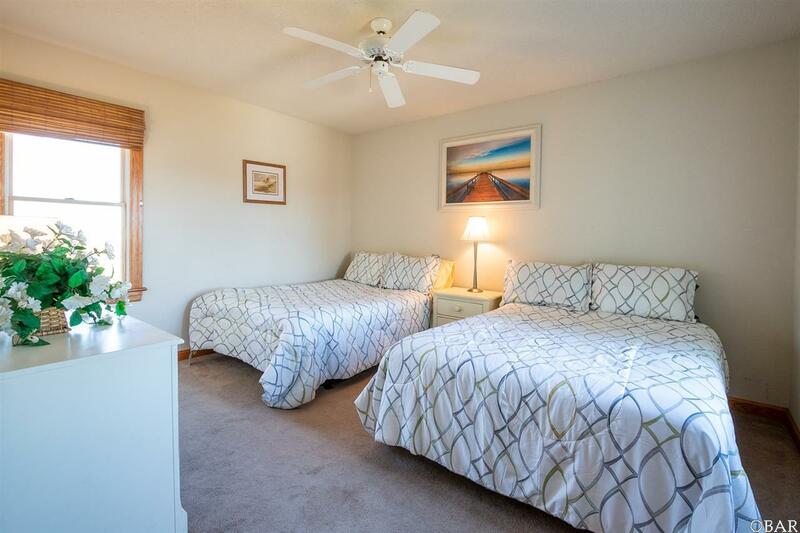 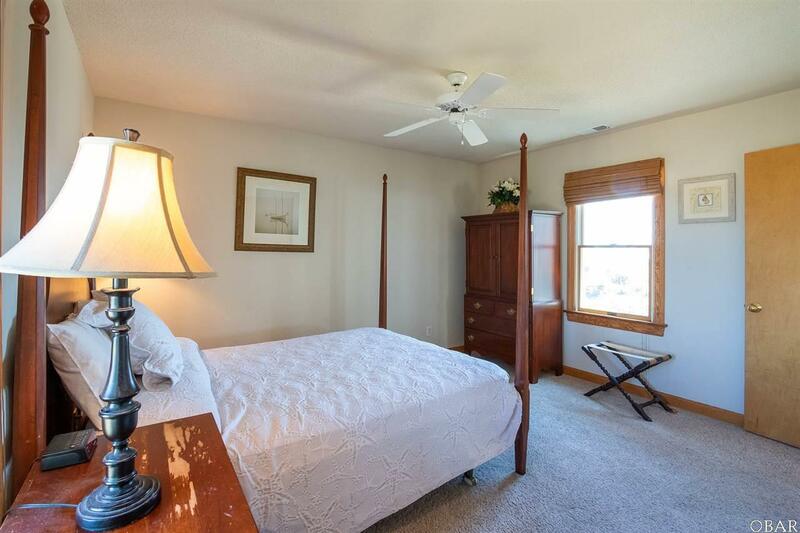 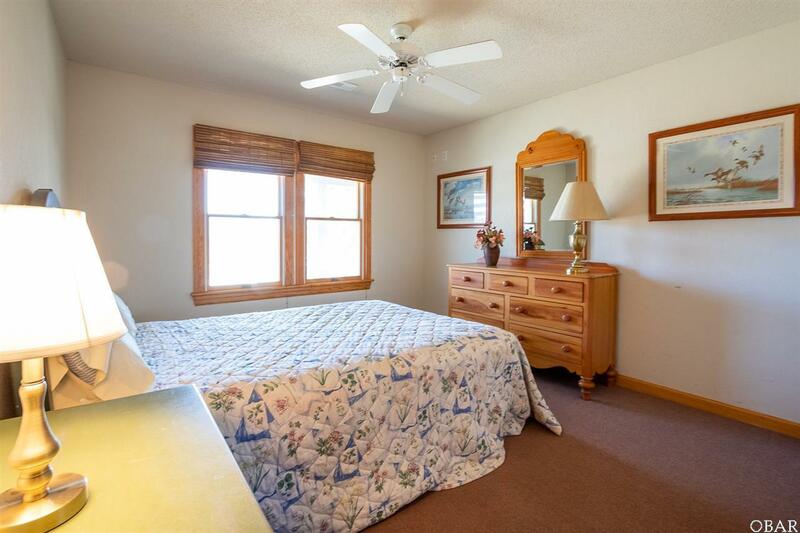 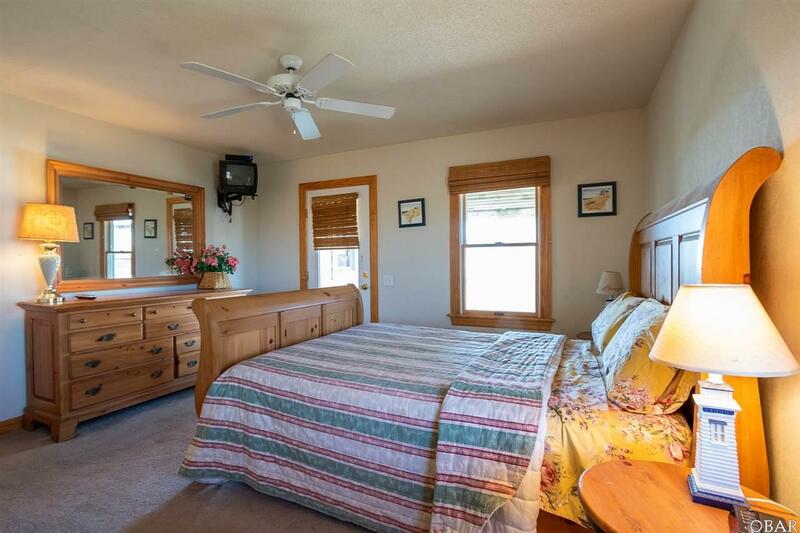 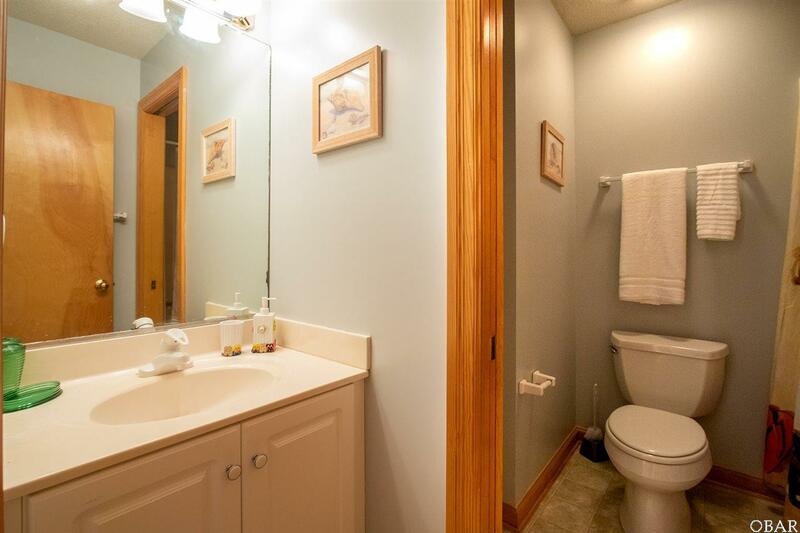 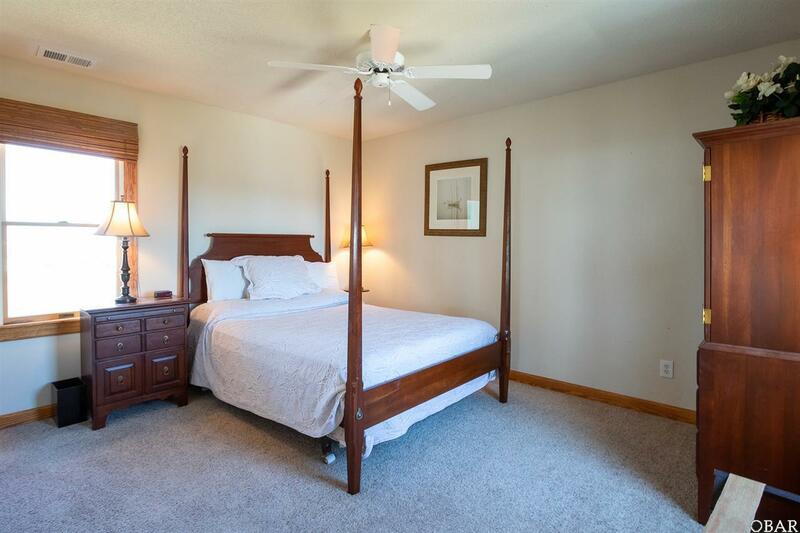 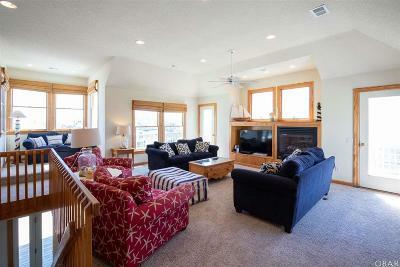 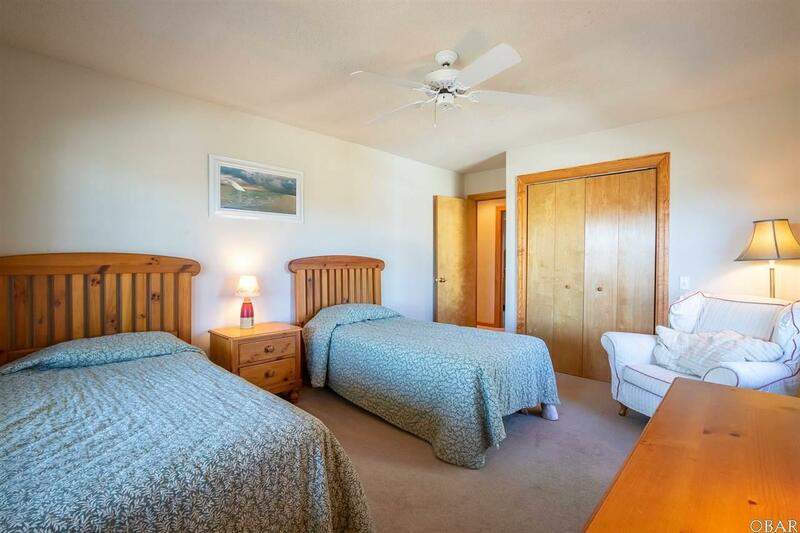 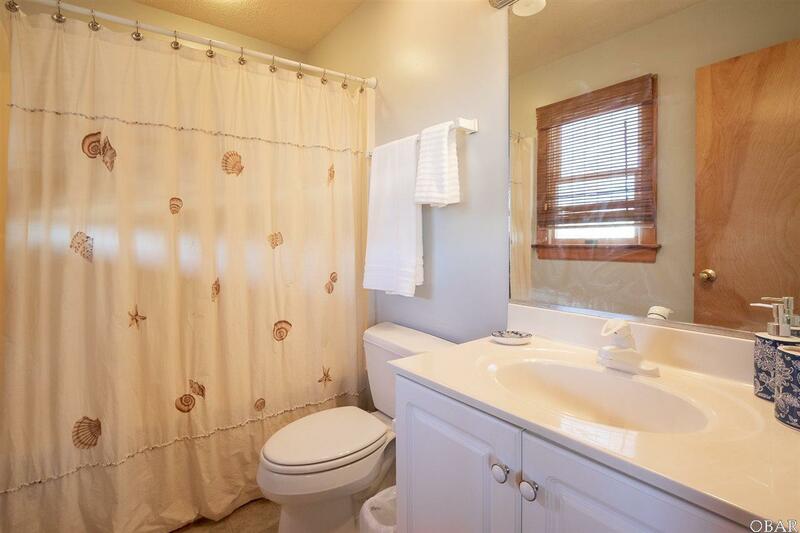 On the second floor are two queen master bedrooms, and two bedrooms (2 Double Beds, 2 Twins) with a shared full bath. 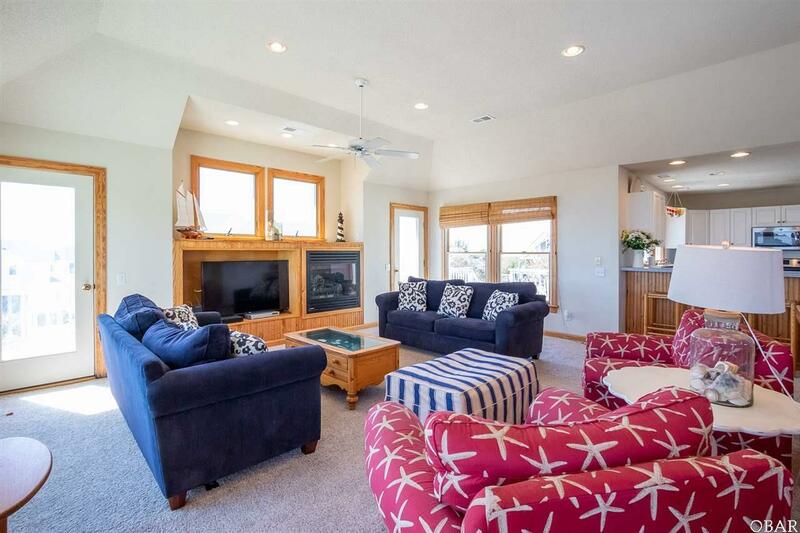 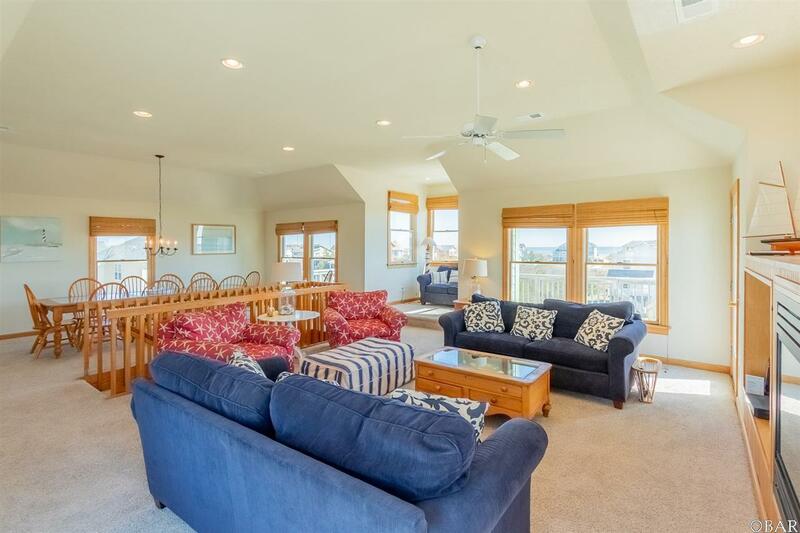 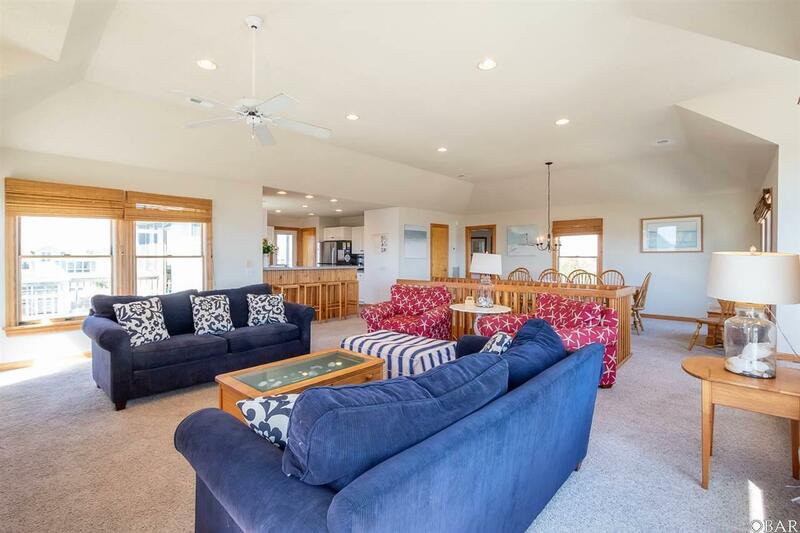 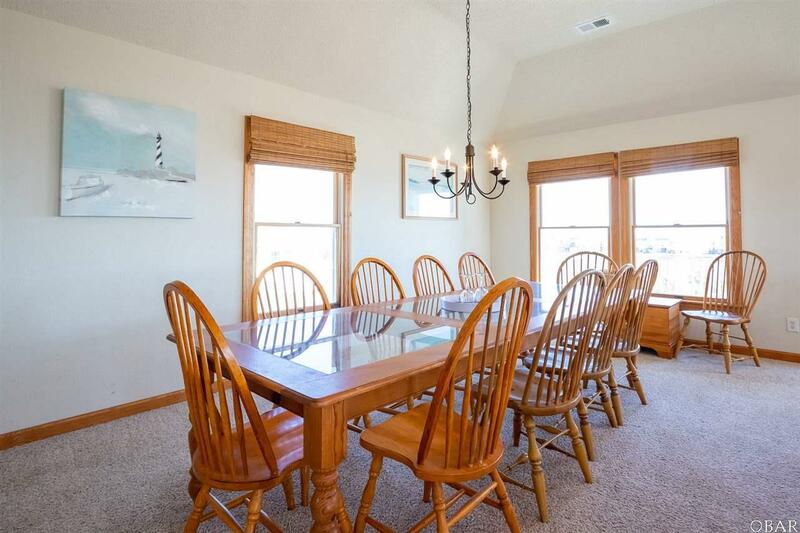 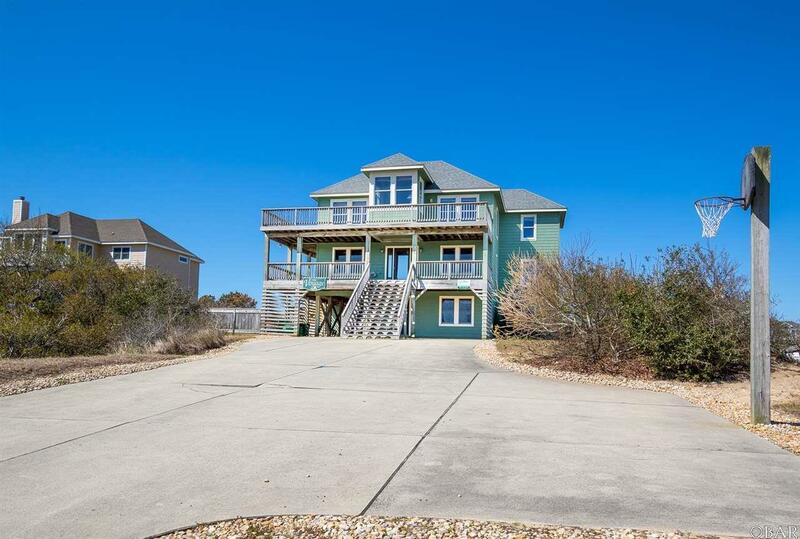 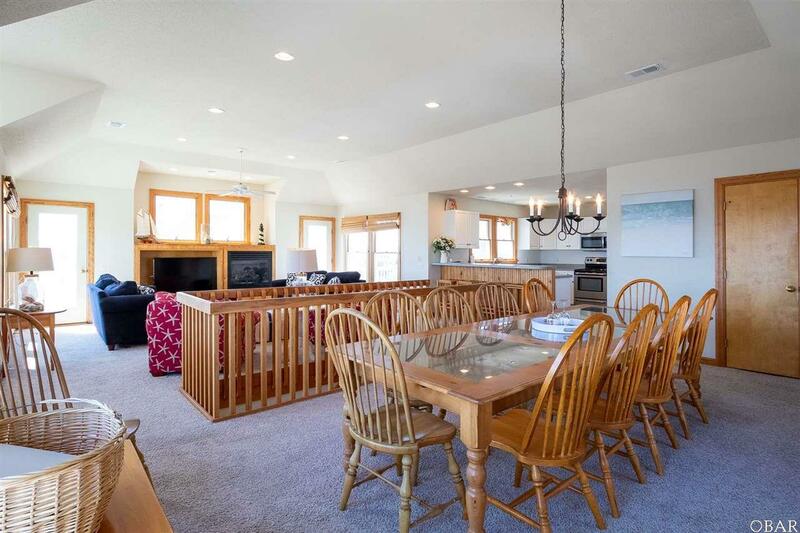 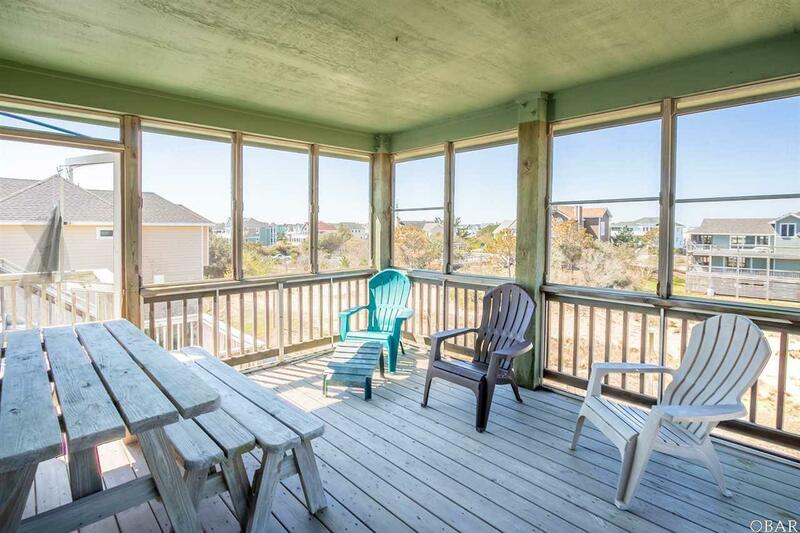 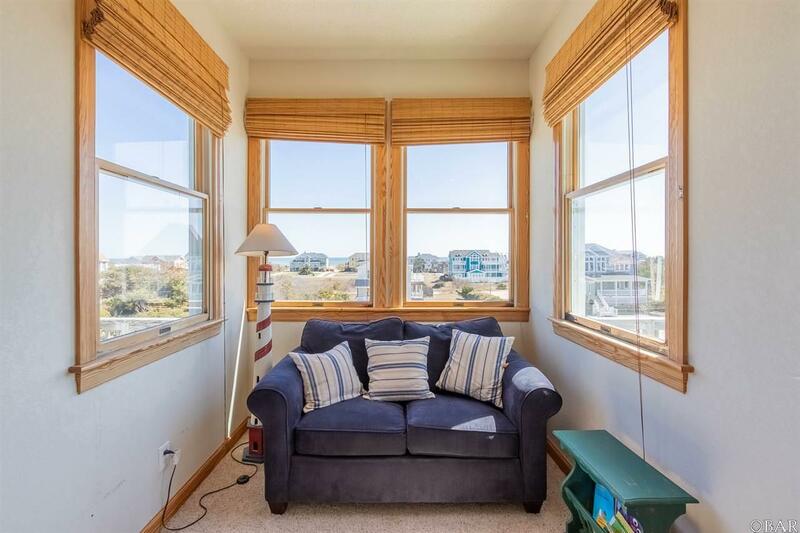 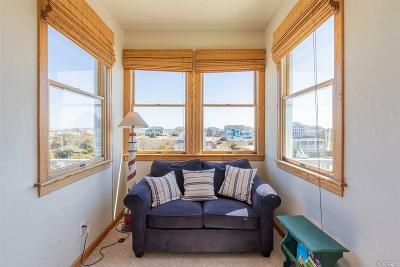 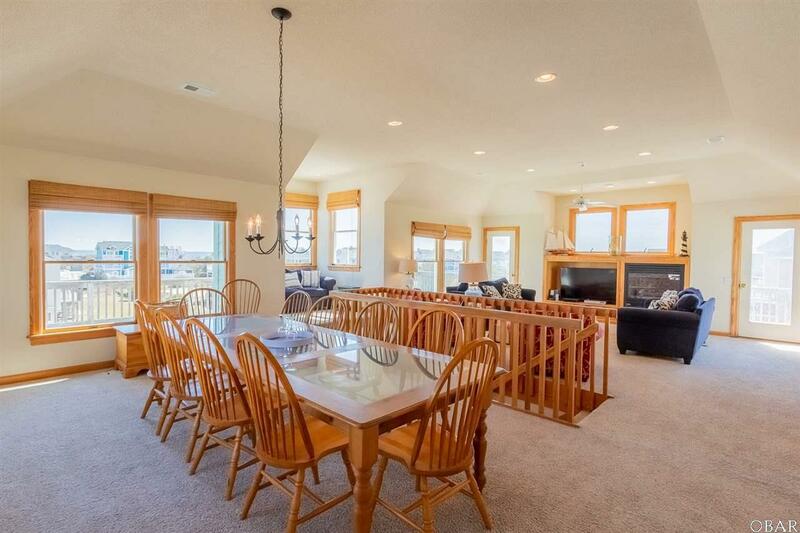 A spacious top level boasts ocean views, a gas fireplace, cozy ships watch for reading, ample seating in the dining room & breakfast bar, a spacious queen master bedroom, half bath, and screened porch. 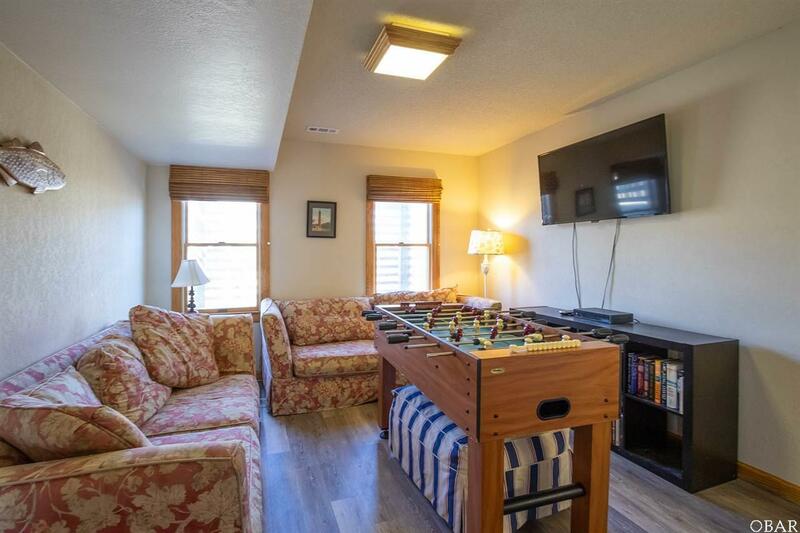 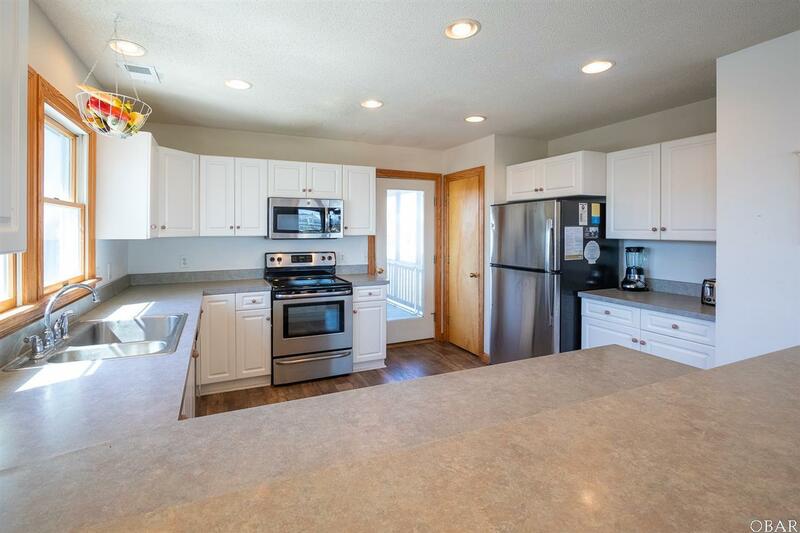 Recent upgrades include new refrigerators in the kitchen & first floor game room, new flooring on the first floor, addition of third floor storm doors, and new blinds throughout.